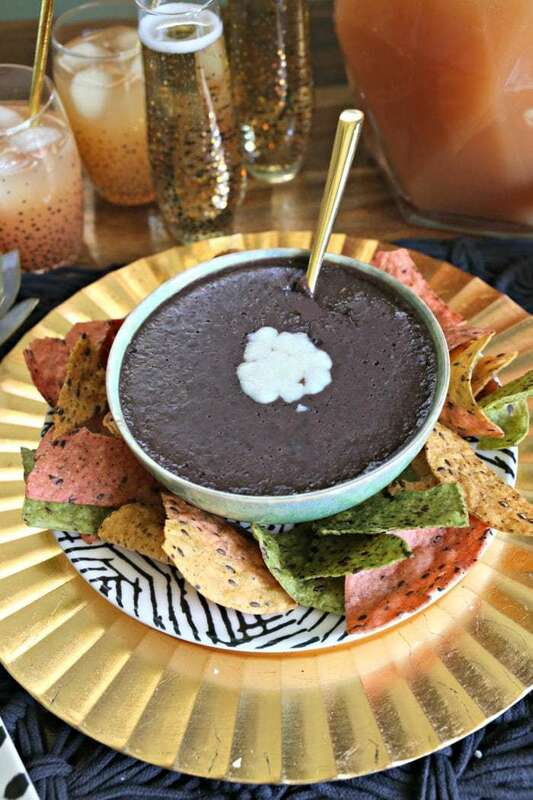 This traditional Costa Rican black bean dip recipe is the perfect party food. 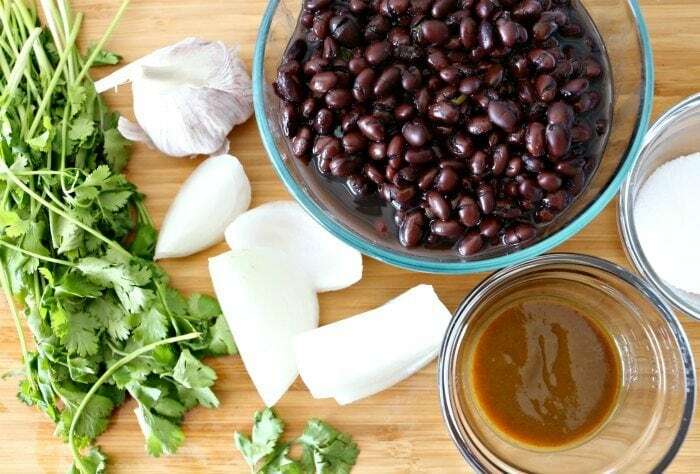 Vegetarian, vegan and perfect for dipping plantain chips, tortilla chips, or making seven layer dip, you will love how easy this black bean dip recipe is to make! Every four years we gear up to celebrate the biggest soccer tournament in the world- and we are so excited to cheer on Costa Rica this year! 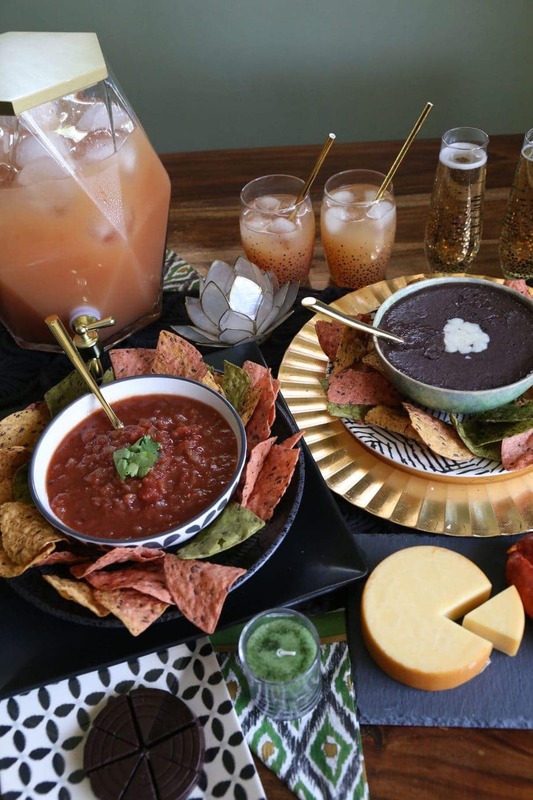 We take game time super seriously at Casa Pura Vida, so I am always looking for the ultimate party spread for game time. For me, the best soccer party is one that is affordable, has something everyone loves to eat (kids and adults alike) and where the temperature of the food can remain consistent for the two hours the game lasts. So I’m demasiado emocionada to present this amazing shop to you all in partnership with Cost Plus World Market. 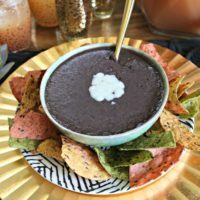 We’ll take a look at my favorite party dip- a typical Costa Rican black bean dip recipe (frijol molido). Plus I’ll show you how I shopped the amazing gourmet international food and decor at my Cost Plus World Market here in Cherry Creek, Denver to create the ultimate and affordable one-stop shop for the perfect Summer of Soccer party! Not sure where your local Cost Plus World Market is located? Check here. The first step was to plan my tablescape. I decided to go with a green, black and gold theme. This color scheme is reminiscent of the soccer pitch, and there were a ton of gold accent pieces in the store for me to add. I knew I wanted to have lots of fun drink options- alcoholic and non, so the first piece I found was the drink container. Porque no es fiesta sin bebidas, ¿verdad? I love the shape- it reminded me of a soccer ball! One thing that I definitely hate during a sports party is worrying about keeping the drinks cold- so I was thrilled to find this mold for big ice balls. They kept the pitcher cold for four hours without melting- so the drinks weren’t diluted! Once I had the core piece, I started to play in the store! I loved finding the bright gold spoons to put in the dip bowls, and the mini slate cheese board also called my name. Then I spotted the adorable gold accented drink ware and I knew the tablescape would come together perfectly! The next part was fun- shopping for the food items! 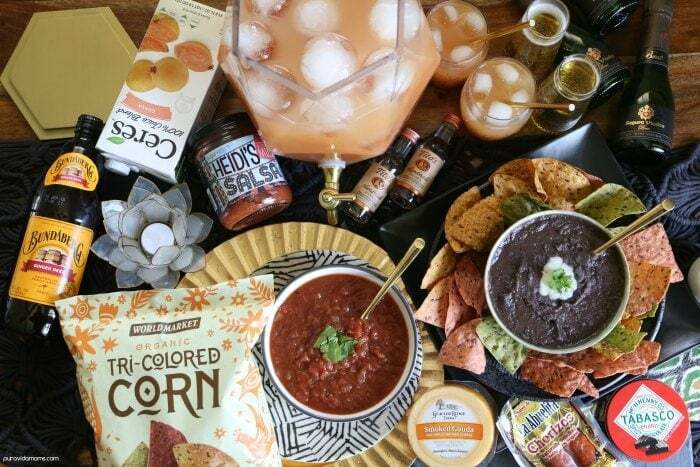 I knew that the bean dip would be the main attraction, but I needed lots of other snack items to go along with it. I decided to walk through the food section of Cost Plus World Market and look for Latin-inspired food items. I was so excited to find a HUGE assortment of unique international food items that I haven’t seen anywhere else- and that are totally representative of our culture. You can check out this video of my shopping trip from Instagram to see many of the authentic Latin food items I found. There were so many possibilities for food items, but I finally narrowed it down. I chose the World Market Flax Seed chips (which were delicious) because they were the colors of the Mexican flag. Then I grabbed Heidi’s Salsa because it had a calavera on the jar top. Honestly, I usually won’t touch jarred salsa with a 10-foot pole (I make a mean salsa verde cremosa and a fab salsa de chile del árbol) but honestly this salsa was great and I was glad we had two jars because everyone gobbled it up. Next, I wanted to do a fun cheese board so I hit the meat and cheese section. 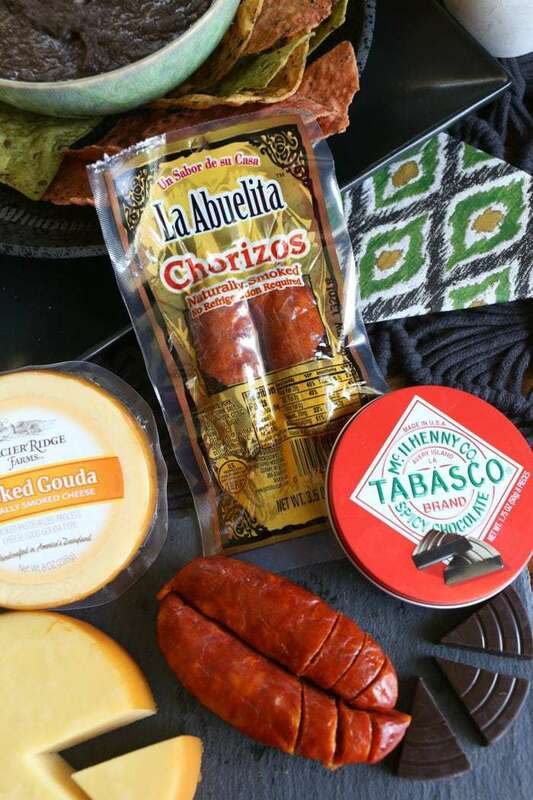 I loved finding the cute La Abuelita chorizos and I’m always a sucker for smoked gouda. I added the Tabasco chocolate (it was spicy!) for some extra fun. Also- our whole family is obsessed with this Lotus candle holder. I found a flameless color changing tea light to put in it- it’s our new favorite night time fun! Finally it was time to think about drinks. Drinks are the BEST part of any party in my opinion, and I love to get creative with lots of options. The base drink in the beverage holder was half Guava juice (I could NOT believe my eyes when I saw it on the shelf!) and half ginger beer. It was a fun, fresh, bubbly flavor that kids and adults could enjoy. found mini champagne bottles from Spain and mini vodka bottles. I added them to the table, and a fun cocktail was half juice with either half champagne, or half vodka. Overall there were amazing products from over 50 countries– and the whole spread (food, drink and decor) was super affordable! 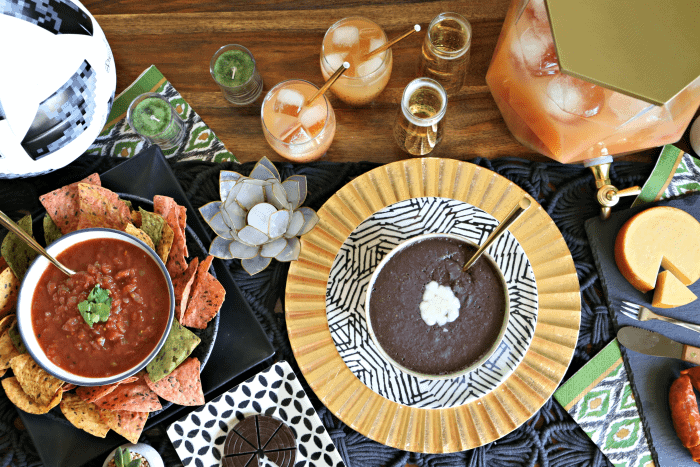 So make sure to shop the tablescape at the Cost Plus World Market links below, and then make our easy Costa Rican black bean dip when you get home. The only thing left to do after shopping was to make the bean dip. 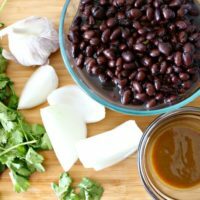 Like every Costa Rican family, we always have black beans in our refrigerator- I cook them in the low cooker according to this recipe. But for this recipe, you can also use canned beans- as long as you don’t drain them. It doesn’t affect the flavor at all. 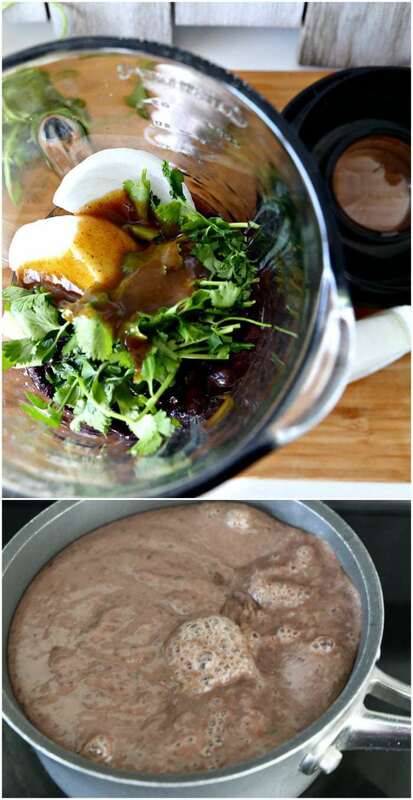 Just gather the ingredients, add them to the blender and puree until smooth. Then I put them on the stove on low for about 10 minutes until just a bit bubbly- I think this melds the flavors together nicely. I serve this dip warm or at room temperature. We’ve been adding them to our taco and tostada dinner nights and my daughters absolutely devour them! 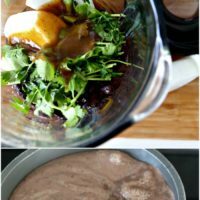 Combine all ingredients into blender and puree until smooth. If you are having trouble with the ingredients getting stuck, add 1/4 cup water and continue to blend. Remove blended ingredients from blender and transfer to a medium saucepan. Heat on low until bubbly and dip thickens a bit. Transfer to serving bowl and serve warm. You can use canned beans. I use two 15 ounce cans, undrained. 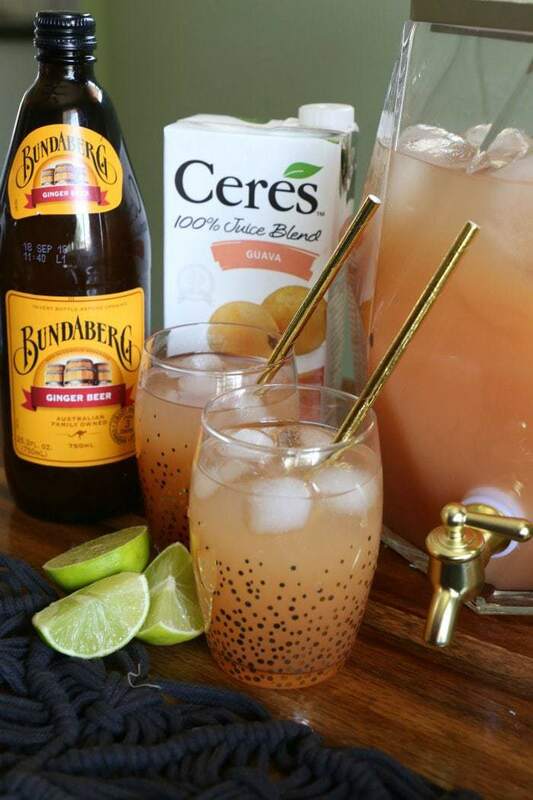 If there is not enough liquid in the cans, you can add a bit of water when blending. You can find the traditional Costa Rican ingredient, Salsa Lizano, on Amazon. 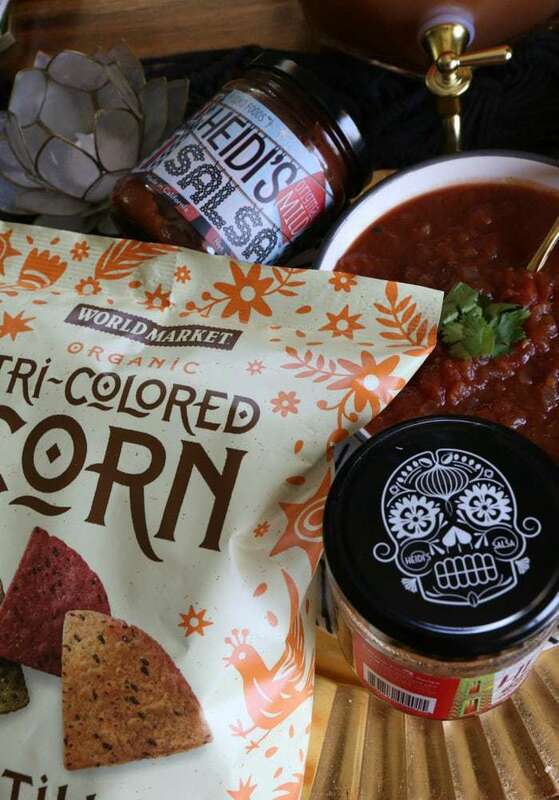 This post was sponsored by Cost Plus World Market on behalf of the #WeAllGrow Latina Network. All opinions are my own.